OK, you know you are large when websites are putting your work on coffee mugs. This ‘laugh now chimp’ was stenciled in various parts of the UK but now has made its way to a coffee mug hahah. The Banksy Laugh Now Chimp coffee mug shows a dejected chimpanzee wearing a billboard around its neck with the slogan “Laugh now, but one day we’ll be in charge”. Maybe people buying the mug will see it miraculously shatter before their eyes. I wonder if Banksy likes Jamaica Blue Mountain in his cup. 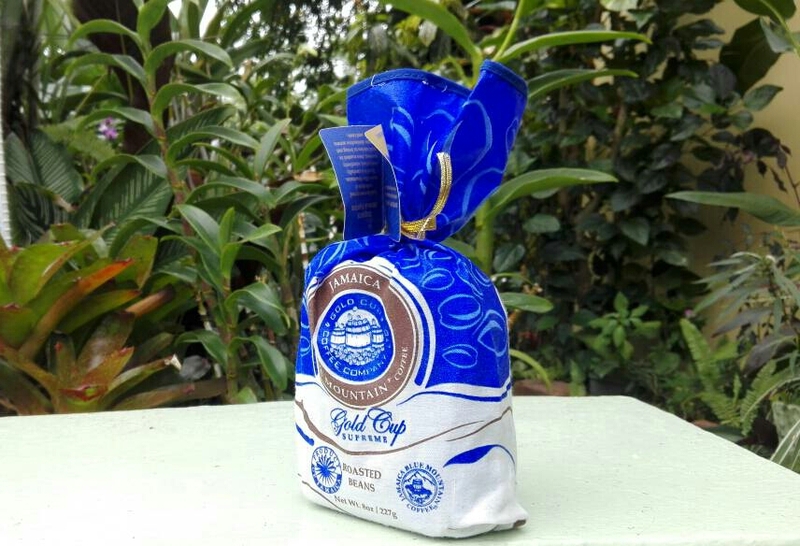 Jamaica Blue Mountain coffee supplier Amber Estate will resume selling roasted beans in April. Until then it supplies green beans to Starbucks. In its place, the makers of Amber, Gold Cup Coffee will supply Gold Cup Supreme peaberries. It’s a lovely chocolate with lemon delight. 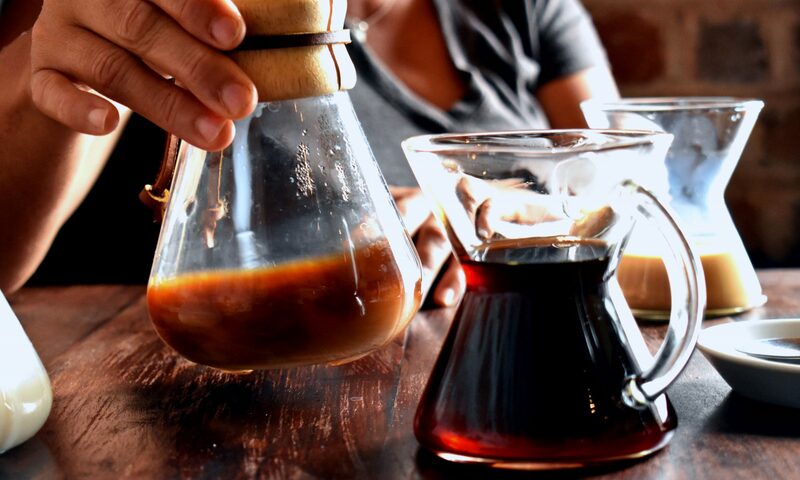 Pure beauty for the lips enjoyed best as a pour over or French press. Starbucks plans to consider opening a coffee store in Jamaica. 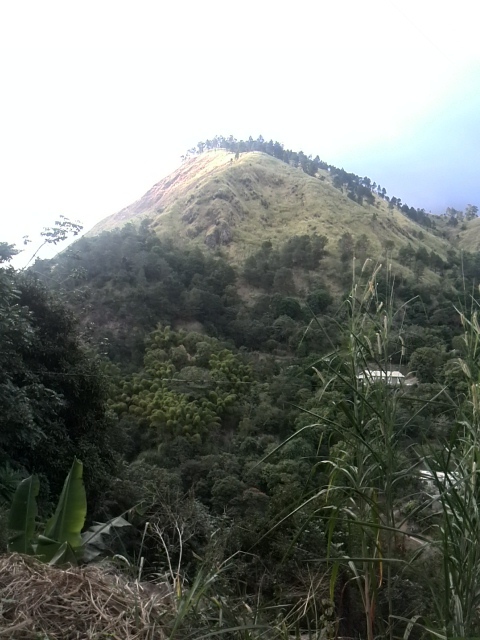 When Jamaicamocha spoke to Jamaica Blue Mountain farmers on the implications most had a mixed bag of views. Some say it will benefit the local industry provided the local authorities force Starbucks to follow the lead of Colombia. Others say it will hurt the local cafe sector, still burgeoning and still educating the public on how to drink brewed coffee. Remember that this luxury coffee producing nation generally drinks tea and imported instant coffees. Those who want Starbucks to buy local also acknowledge another problem: How can Starbucks sell coffee at a similar price-point as in major markets while using expensive Jamaican coffee? A solution involves using cheaper Jamaica low mountain beans but also allowing the giant to import commodity beans for blending as Jamaica Blue Mountian blends. Even this solution would likely result in farmer protests and calls by other cafe players of favoritism. Starbucks opened its first store in Colombia in 2014 and now has 11 stores. Medellin its latest, opened last September. But the chain wants to open 50 in that coffee producing country. Starbucks now has over 1,000 stores in Latin America since entering Mexico in 2002. The new store, located in Medellín’s Milla de Oro on Poblado Avenue, is designed to honor Colombia’s rich coffee heritage while celebrating the city’s eclectic vibe. Jamaica Blue made its debut in the United Kingdom opening its first cafe, on 8th December. The chain of 170 cafes within Europe, quickly grew that number to three in the UK with its third in Chelmsford is in the Bond Street complex. Based on packaging the chain sells single source from Wallenford, blends from Jamaica, and coffees from other parts of the world. If you are in the UK check them out. The cafe boasts vertical grass walls and lighting made from recycled Jamaica Blue Mountain barrels. Very cool, trendy and what you’d expect from cafes trying to enter a mature market. Their Wallenford coffee would offer the signature balance of chocolate, vanilla and spice. It’s a profile known globally and respected among coffee nerds as the world’s finest. If you are however not visiting the UK anytime soon. Consider Wallenford as your next coffee. The motto of the Jamaica Blue brand is the Jamaican proverb, ‘Wan wan coco ful baskit’. The company bends its meaning focusing on slowing down to fulfill goals. More correctly it represents fulfilling goals one deed at a time. However the simple philosophy of the chain includes serving great coffee, food and service. “From our humble beginnings twenty-odd years ago, we now have a growing international network of over 170 stores operating in 7 countries,” stated the company on its website. The price of Jamaica Blue Mountain (JBM) coffee jumped so much in 2015 that it now rivals the price of Kopi coffee and outpriced itself from Hawaiian Kona, but what goes up comes down. Coffee bars around the world historically offer Kona and JBM at roughly the same prices . The 2015 local coffee shortage and rise in Japanese demand changed that with JBM retailing at about $60 per pound from about US$35 a pound a few years earlier for quality beans. It resulted in the wealthy huffing and puffing but still buying the luxury super-uber-yummy coffee from Jamaica. The regular rich however choose to drink tea instead ( Starbucks buys Teavanna ). Jamaicamocha spoke to key dealers who predict the fall in price of JBM by 2017 due to reduced demand in Japan and ramp up in supply. “A large Japanese dealer stopped carrying JBM and other roasters in Japan are bailing and crying about the price,” said dealer A. With the rise in prices for JBM every farmer’s son and grandson returned to till the soil. The rise in farmers on resuscitated lands will result in a jump in production and the magic number is 350,000 boxes for the crop year. Hitting that target would put supply at a decade year high. Another dealer said that JBM’s market is like a pyramid the higher the price the smaller the market. Simple economics dictates that price remains when demand and supply are in equilibrium: Yet demand is falling and the supply is rising. Jamaicamocha believes on advise of dealers that the prices will fall back to about $45 a pound by 2017. Until then small poor farmers benefit. Dealers benefit and the discerning consumer gets his uber fix without counterfeits. Coffee drought in jamaica rasta! 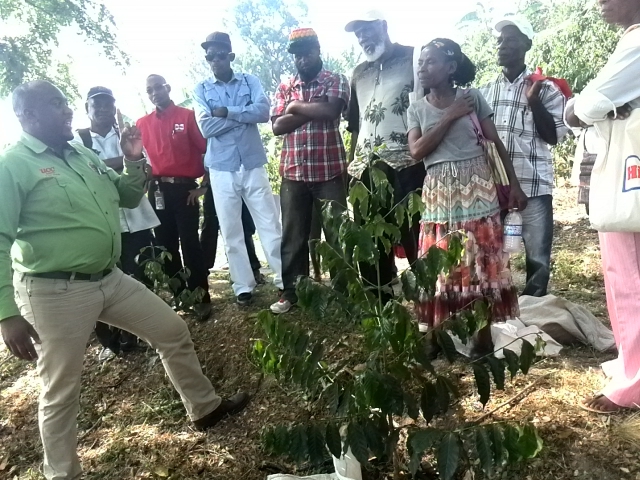 Coffee shortage continues to affect the availability of Jamaica Blue Mountain JBM beans. Its based on a confluence of factors now led by drought. Less beans resulted in price increases of roughly 40% in real terms to consumers. 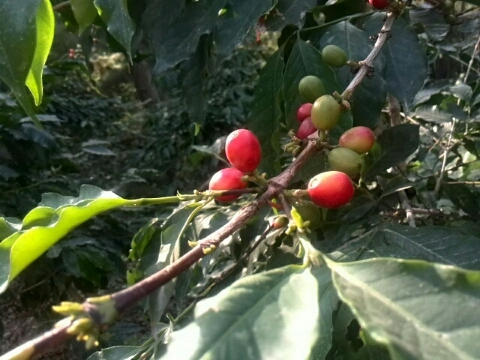 Interestingly small farmers benefit with box prices of coffee cherries inching past J$8,000 (U$70). ” I hear they paying up to J$9,500 a box,” a source indicated. To consumers it resulted in a shortage of favourite brands. For instance, the beans of large supplier Jablum remain out of stock–going three months now or since November. “We won’t have brand before April,” another source said this week. CRJ –beans and kcups available. Salada Foods, a large coffee maker in Jamaica plans to launch new coffee products this year, according to its annual report. The move comes within the context of increased rival coffee competition in both the instant and brewed segments. “We strongly believe that creating new value for our customers is imperative to the success of the company, and with this in mind, in the upcoming year Salada will re-energise and revitalise our coffee category, providing our customers with new and improved products in the market space during the year,” stated the then Acting Managing Director Keshia Nelson-Brown in a statement accompanying the annual report 2014. The annual report avoided disclosing additional information on the products. In late December, Salada advised that Jerome Miles would “replace” Nelson-Brown and commence work on January 5, 2015 as general manager.